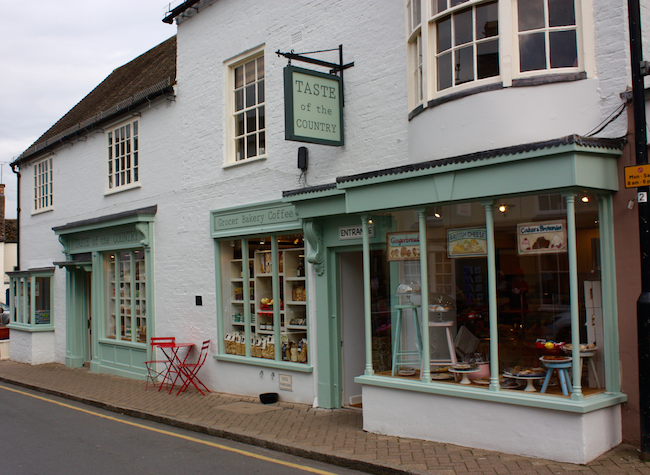 From the time our shop in Shipston was opened 9 years ago we have provided catering, prizes and attended many of the SHN events. It is a very worthwhile charity and is at the heart of our ethos to be integrated into the local community. Taste of the Country has evolved from 1998 when Jim Cherry sold his own Lamb and Beef at the countries first Farmers Markets. Now the Shop in Shipston stocks a broad range of handmade foods from local suppliers, complemented with foods from all across the world. Over the years the range and reputation of the business has been determined by Taste of the Country’s own hand made foods produced in a small kitchen at the back of the shop, which now accounts for half the foods sold, to keep up with demand the kitchen has now been moved to larger premises on Alscot Estate. The shop is always well stocked, 7 days per week and orders can be taken from the “Entertaining at Home” menu for larger planned events. Taste of the Country also has a rapidly expanding wholesale side that sells traybakes and Gingerbread to many businesses across the country including – The natural History Museum, London Zoo and English Heritage.